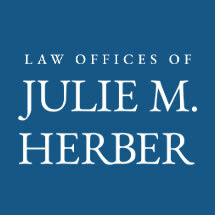 Julie M. Herber is an experienced trial attorney and has been serving clients in Western Washington for 19 years. Julie is strongly dedicated to achieving the best result for each of her clients, using her extensive experience, knowledge and legal skills. Our standard advance fee deposit in family law cases is $5,000.00, subject to adjustment based on the complexity of the case.